The Visiolite® device is intended for use in Occupational Health and Preventive Medicine departments. 3-patent innovative technology. A combination of optical, electronic and computing high technology to perform visual acuity measurements and screen for visual problems. The Visiolite® device is intended for use in Occupational Health and Preventive Medicine departments. A combination of optical, electronic and computing high technology to perform visual acuity measurements and screen for visual problems. 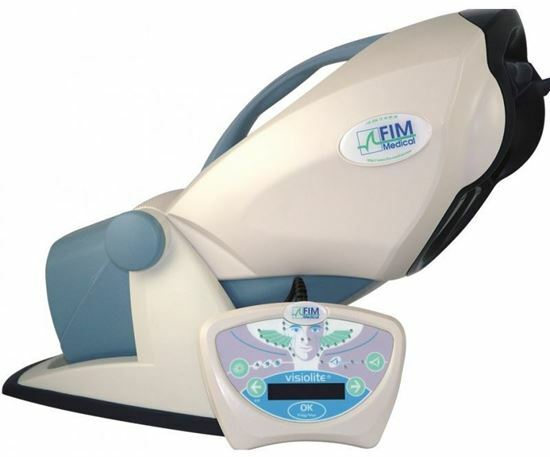 Driven by the Visiolite software or the LCD screen remote control, this model places all our knowledge in the vision field at your disposal, as well as all the computer technology assets (data base access, programming of sequences, ergonomic and user-friendly interface). Adapted for wearers of progressive lenses. Move from far to near vision simply by lowering the eyes. A patented motorized system tests 32 points per eye from 20° - 30°. WHEN SIMPLICITY GOES HAND IN HAND WITH EFFICIENCY. Test time: 3 - 5 mins.